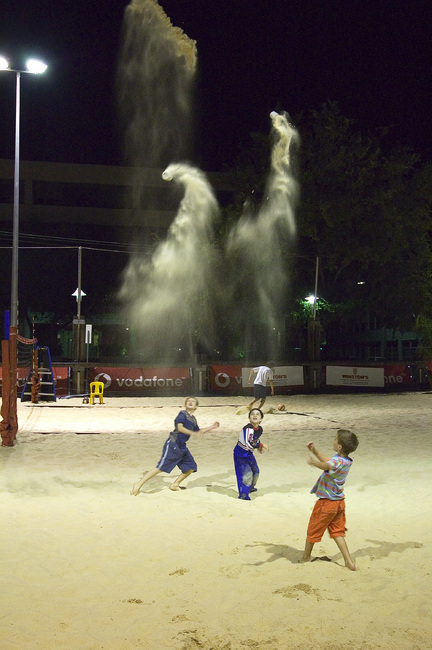 Michael and a couple of other boys sending cups of sand into the evening sky. Seen at the City Beach beach volleyball venue in Adelaide. Details: Nikon 18-70mm, 27mm, f/3.8, 1/60s, ISO 1600.